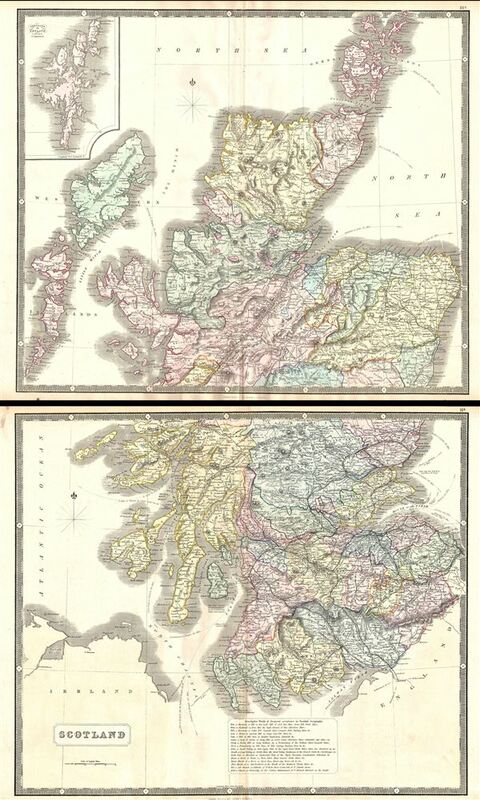 A large two part map of Scotland issued by George Philip and Son around 1860. Philip's map covers all of Scotland with color coding by county. At bottom center there is a key to common Scottish geographical terms, such as Ben (Mountain), Fell (Mountain), Dun (Hill), Glen (Small Valley), etc. Show shipping lanes and distances between major Scottish ports and ports in continental europe and elsewhere on the British Isles. Both panels are individual surrounded by a piano key style border. Published in Philip's Atlas. Undated but stylistically consistent with Philip's c. 1860 work.